The staff at Mendon Village Animal Hospital have seen a ton of black fly bites on our patients lately! They can look pretty scary, but fortunately they are typically harmless. Black fly bites are most commonly seen on the abdomen or the inside of the legs, where hair is sparse. They range in color from pink to bright red to almost purple. They are often mistaken for tick bites, due to the “bulls eye” appearance they generally have. Yet, unlike in people, tick bites don’t cause that “bulls eye” effect in dogs. These bites may be mildly irritating to your dog, but we find that many dogs don’t pay attention to them at all! What should you do if you find a black fly bite on your dog? Just keep an eye on it! It should resolve on its own in a few days. Treatment is not usually necessary, as long as there is no excessive itching, pain, or swelling. If you have any concerns, give us a call at (585) 624-2240. We can always schedule an appointment to take a look. 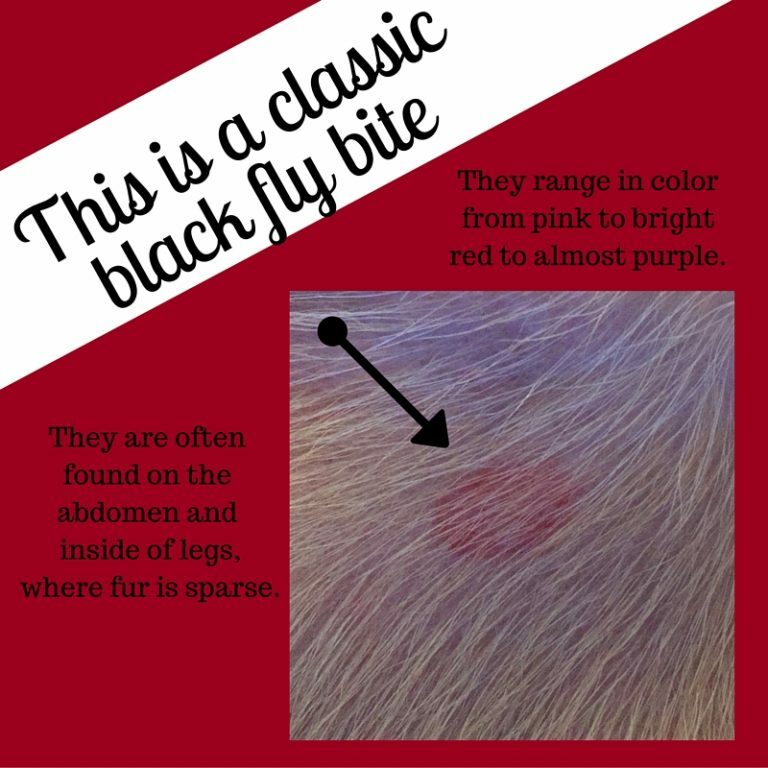 Or, if you just want confirmation that what you’re seeing is in fact a black fly bite, we can have you take a picture and email it to us!